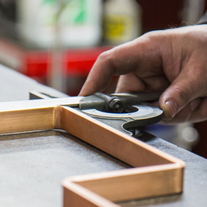 At Metelec, we carry a wide range of copper chrome zirconium. Our copper chrome zirconium is manufactured within our extended group. 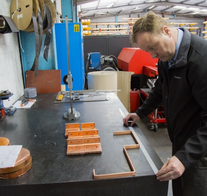 Most of our copper chrome zirconium is available from stock and all bespoke products within the scope of our manufacturing range can be made available on forward order. The stock range of copper chrome zirconium is unrivalled but to fully appreciate the diversity of this range please give us a call on +44 (0)1922 712665. Ideally suited for resistance welding applications. 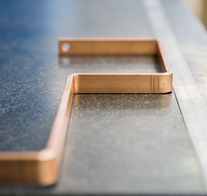 Copper as a product is a soft metal and its use in electrical applications is usually based on its high conductivity. The strength of copper can be improved to a certain extent by cold working, but copper anneals at comparatively low temperatures. The production of a high conductivity material which possesses considerable strength at both room and higher temperatures is of particular interest in products such as electrodes for resistance, where this is of particular importance. This is the main application for Cu.Cr.Zr. 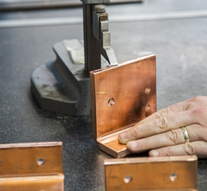 as electrodes must have a high electrical conductivity to conduct the heat away from the weld and be strong enough to withstand the mechanical pressure required for welding. Although other applications are contact tips for MIG-welding, electrical switches and certain stressed parts in turbine generators.